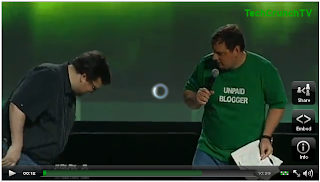 Ryo Central: Is Arrington Really An Unpaid Blogger? Is Arrington Really An Unpaid Blogger? I could throw up. 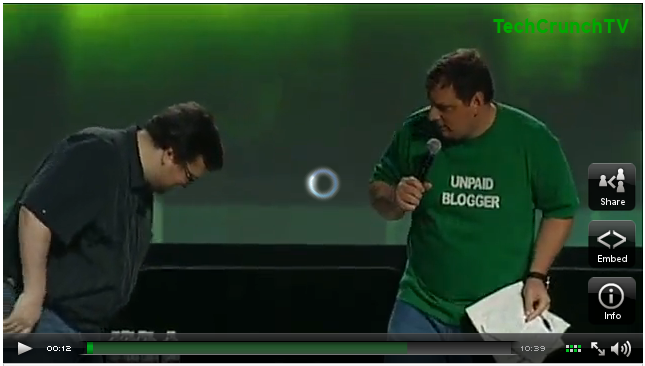 Not only that his shirt doesn't suit him for his advantage, it says "UNPAID BLOGGER" in front. Is that so? I'm pretty sure he still can get money for bashing and humiliating honest startups, and promoting others that he likes.